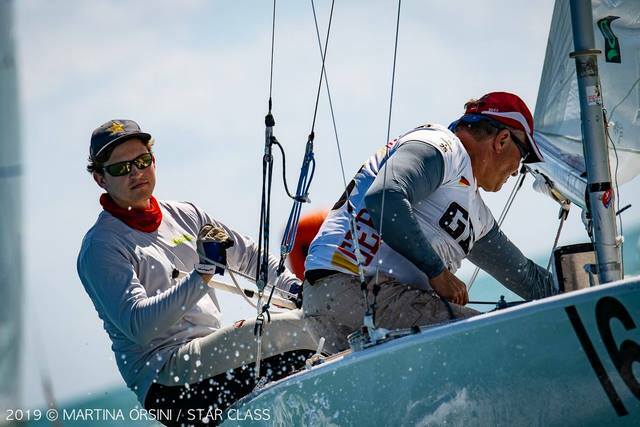 It was a typical Biscayne Bay kind of day; sunshine and breeze going from 6-7 knots in the morning up to 10-12 in the afternoon. 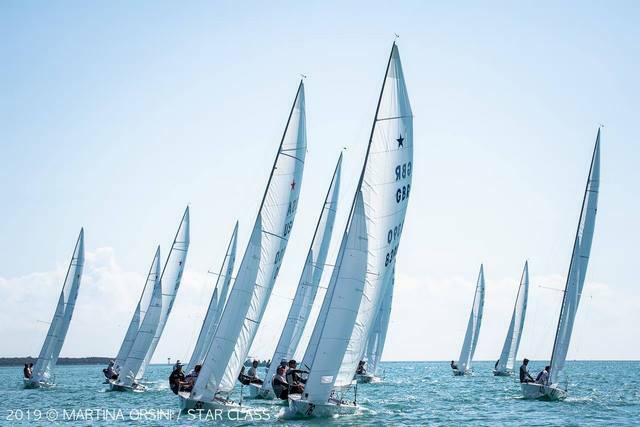 Three races were sailed as scheduled, thanks to a great job by the Race Committee with PRO Carl Schellbach, and the 36 teams, with their ’30 and under’ skippers who really enjoyed the second day of the inaugural Star Junior World Championship hosted by the Coral Reef Yacht Club. 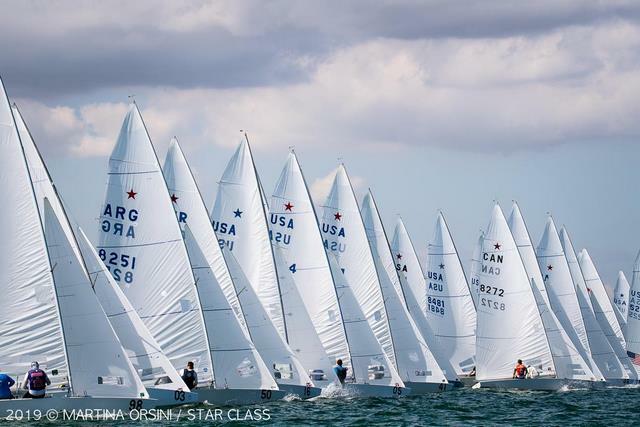 With today’s three races completed the Championship is back on schedule with the provisional leaders, after four races, American Charlie Buckingham – who moved to the Star after finishing fourth in the Laser at the recent World Cup Series event –and Star US Olympian, Austin Sperry. 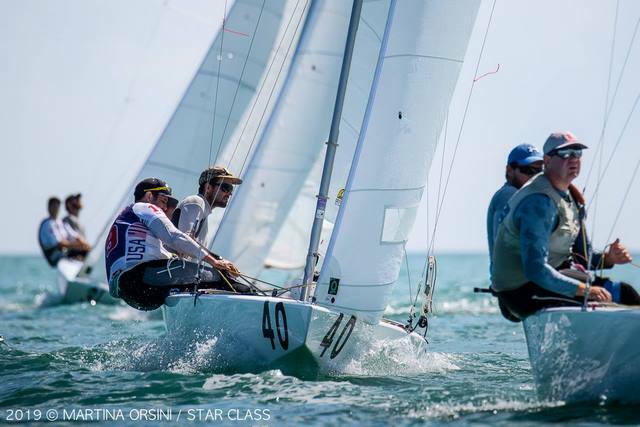 The American team posted a bullet in today’s last race, while the other two race wins went to Star Sailors League Finals 2018 winner Pedro Trouche (BRA) crewing for American Tomas Hornos, sitting in second place overall, and to 2017 Star World Champion crew Joshua Revkin (USA), at the helm, with Arthur Anosov as crew. 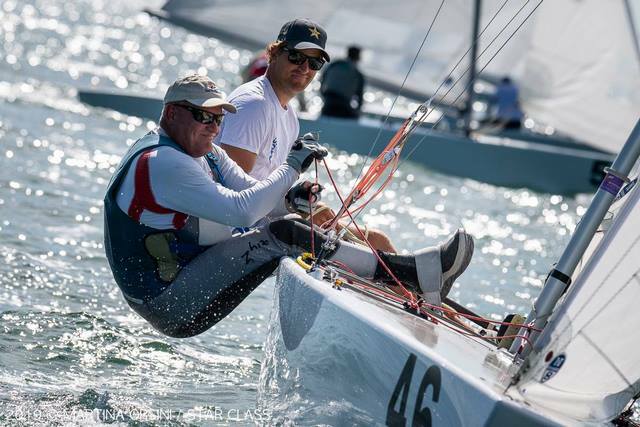 Third overall are Americans Luke Lawrence with Alexey Selvanov, winners of yesterday’s only race. The day kicked off with a clean start at 11:20 with the wind blowing from East at about 7 knots. 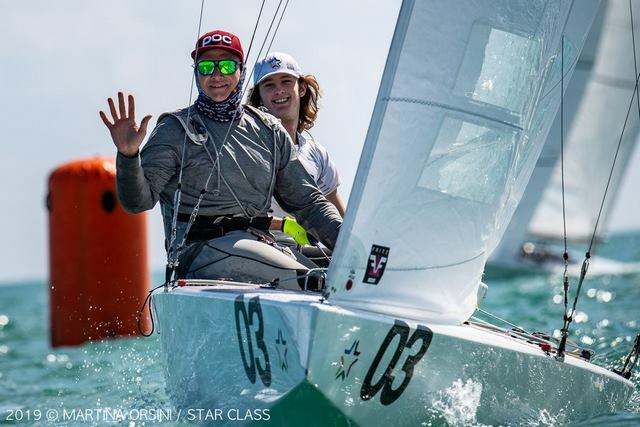 Hornos and Trouche were leading at the first windward mark through to the finish. 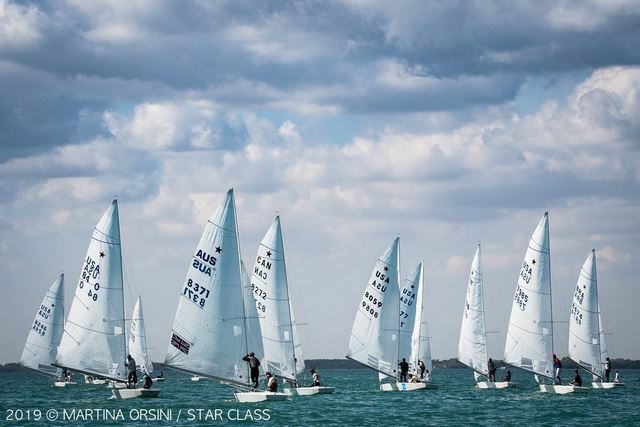 A bit trickier was the start of race 3 – the second for today – it took three general recalls before the Race Committee was able to see the fleet advance on the first of four legs. 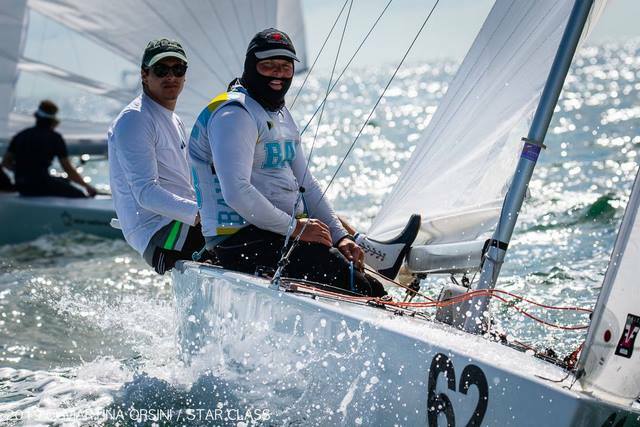 Revkin and Antonov were able to get a good start and control their lead over the Mexican skipper Juan Ignacio Perez and his crew Mark Strube until the end. 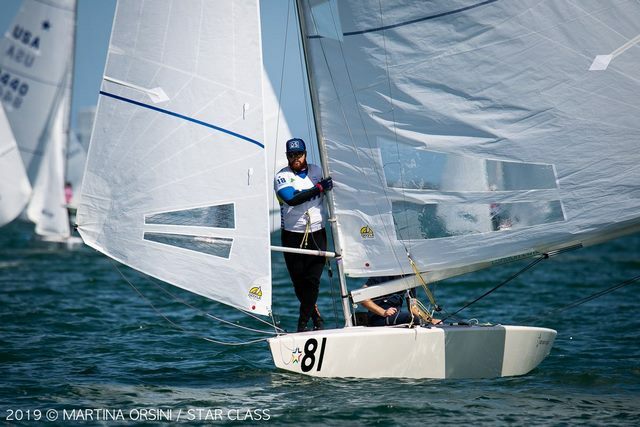 At the start of race four, the wind had picked up to 12 knots and the seas a bit choppy and American Olympic Laser sailor Charlie Buckingham with experienced crew Austin Sperry were able to be quite fast both upwind and downwind getting the victory over Australian newbie to the Star Jake Lilley and Lewis Brake, fifth overall. And the conditions tomorrow look to be the same as today with the first start will be at 10,25am, two races scheduled with no warning sequence starting after 2pm. 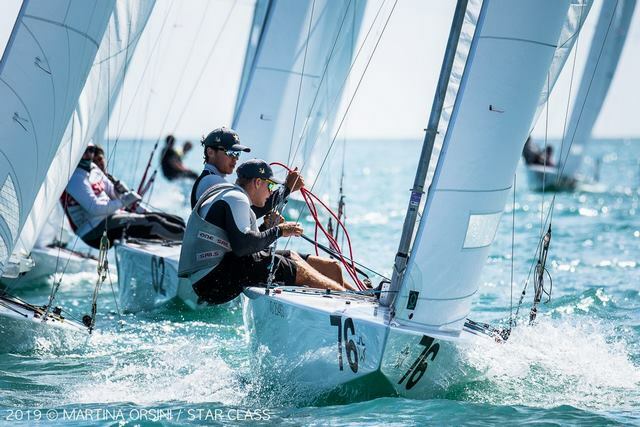 The first Star Junior World Champions will be crowned tomorrow after racing with the prize giving ceremony held at the beautiful Coral Reef Yacht Club.